Base on the exclusive report of ABS-CBN, Social Security System (SSS) experienced a “Computer Glitch”, that affects a big number of SSS Contributors, specially the records from 1985 – 1989 and it was believed that these records was erased because of the computer glitch. A Computer Glitch is an event that will stop the system in the process and once you run the program again, it changes the information or data saved in the program, this is usually a bug in the computer. 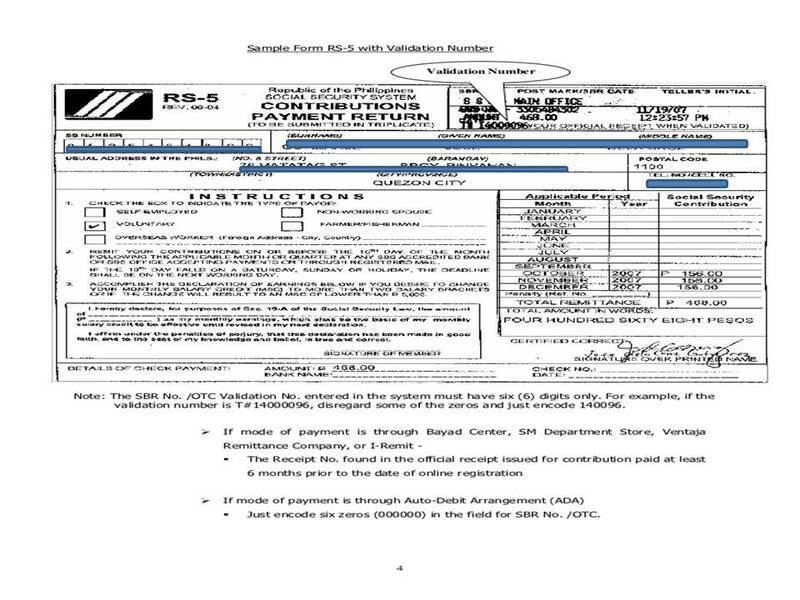 qualified in receiving the settlement. 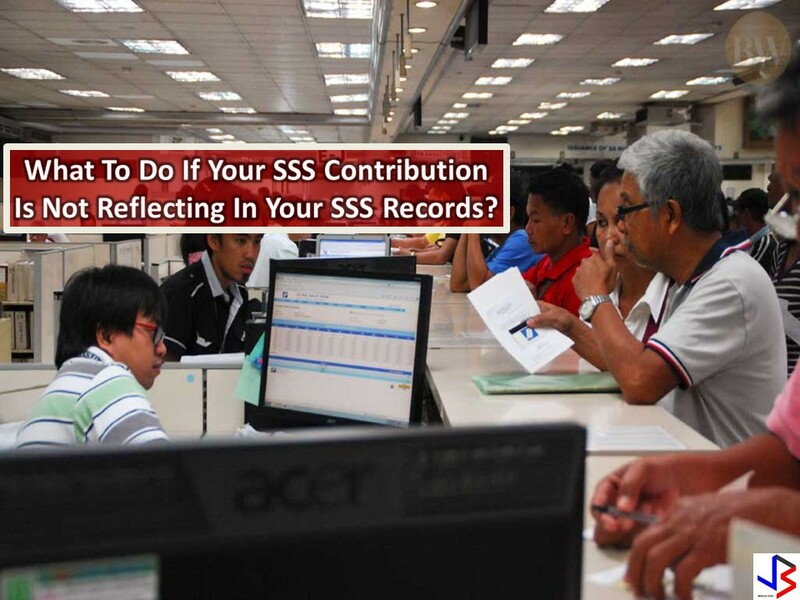 SSS Members must always check their records to make sure that all contributions are recorded and up to date. 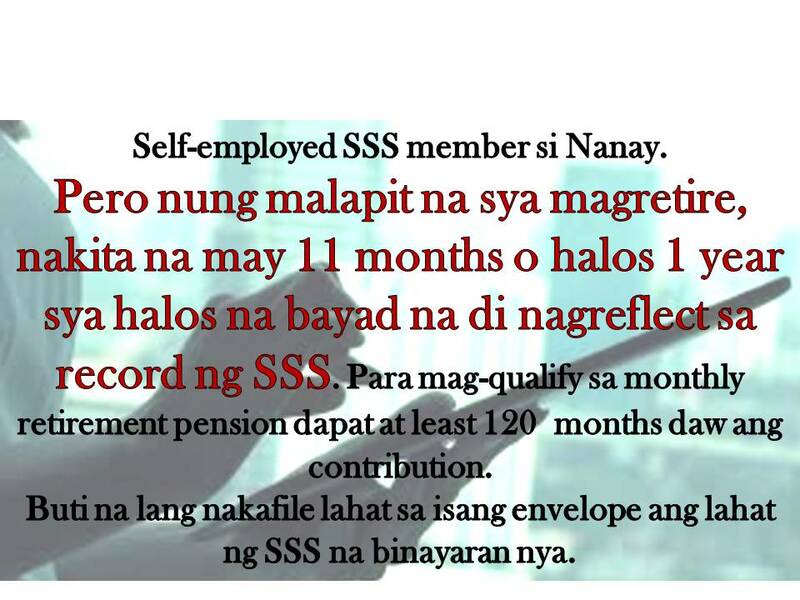 The amount of the benefit either pension, disability or death that can be availed by an SSS Member also depends on the amount recorded in the system of SSS. log-in using your account information. 2. 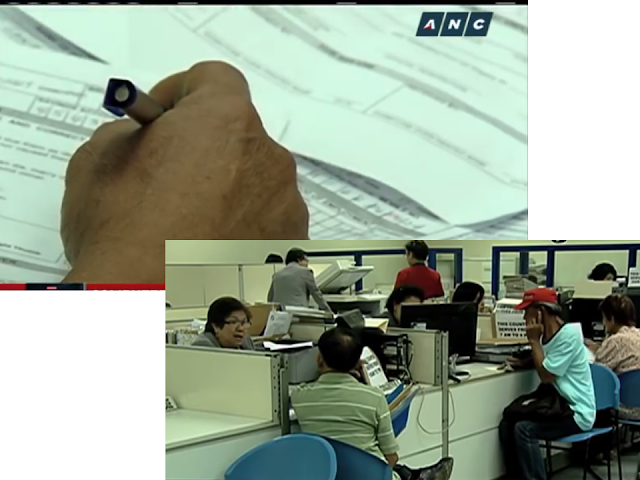 Go to any nearest SSS office in your place to check your account personally. They usually provide a printed copy of all SSS contribution. Make sure to bring your ID and provide your SSS number upon your request. 3. Check your account via text or mobile. You can get information from SSS via TEXT SSS, the SSS text service. Second, you will receive your PIN or personal identification number. a) 2 or more VALID Identification Cards, government ID’s are strongly suggested. The form below is a sample contribution form showing payment validation from a bank. answer, so she wants to access your SSS records before she gives a response. should be clear. What do you really want to know? Before you call, write data, numbers or information so you can give correct data immediately. Note: The SSS hotline is closed on Saturdays, Sundays and holidays. 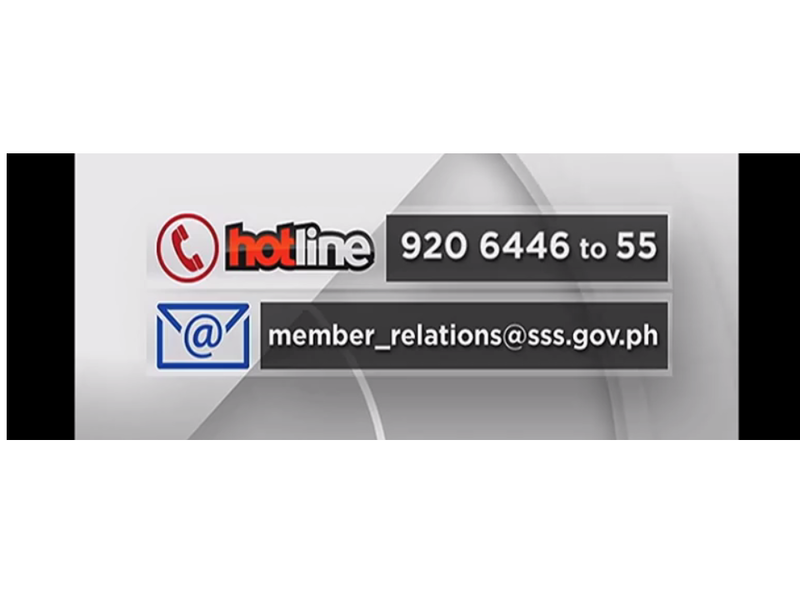 hotline numbers +632 364-7796 and +632 364-7798 and its special desk assistance services at the SSS Main Office in Quezon City from Mondays to Fridays.SSS toll-free numbers are posted at the SSS Website and the official SSS Facebook page (https://www.facebook.com/SSSPh). 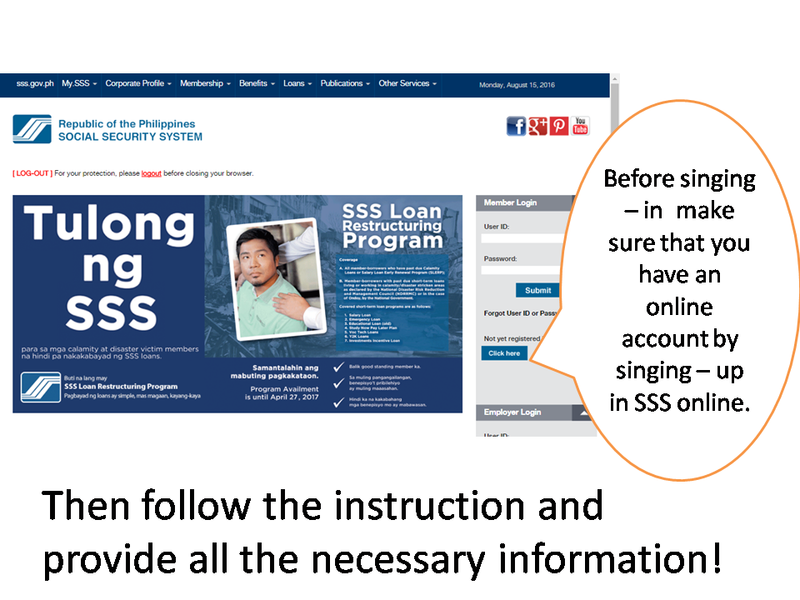 OFWs are urged to register at the My.SSS facility of the SSS Website so that they will also have an option to check their SSS records over the Internet. 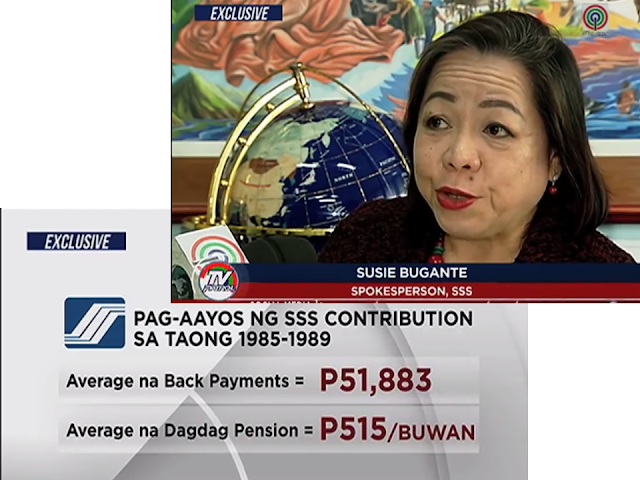 In the issue of computer glitch, SSS Spokesperson Susie Bugante announced that retiree need to check if they are entitled to back payments and pension adjustments by calling SSS hotline.